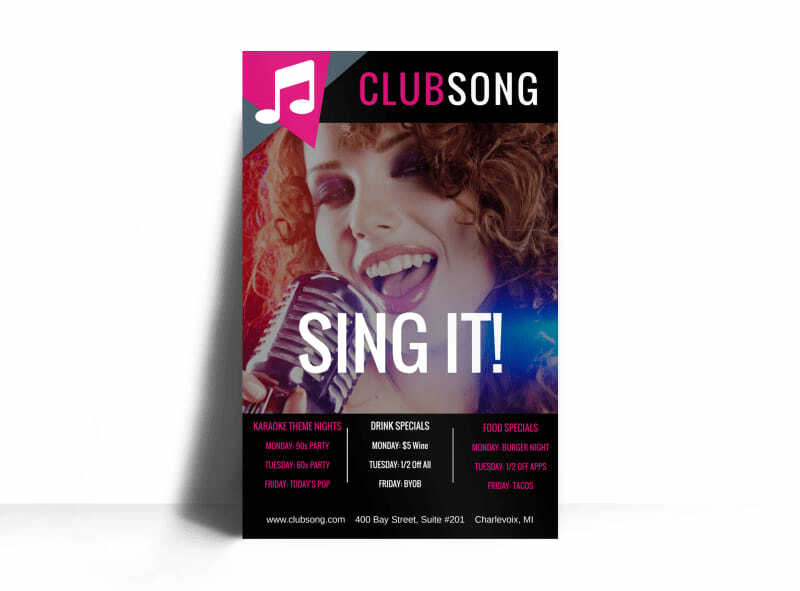 Customize our Club Sing It Poster Template and more! 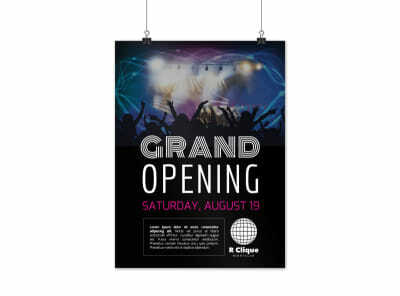 Promote karaoke night or other singing events with this handsome poster you make in minutes. 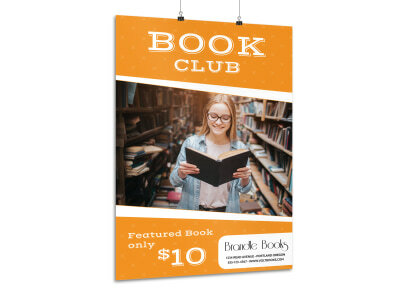 Make your poster dazzle with fun colors, rockin’ images, and catchy text that you personalize yourself using our interactive online editor. 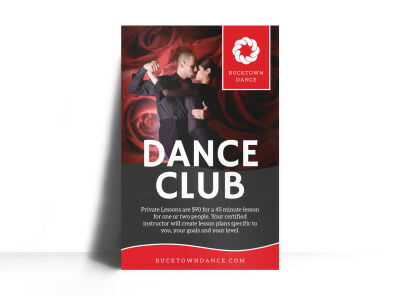 Your poster is simple and easy to create, and no design experience is needed; let’s start now!